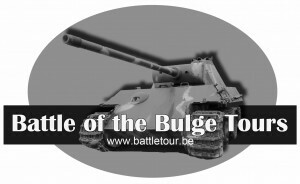 Battle of the bulge tours: A Unique Experience! On december 16th 1944, German troops start their last and biggest attack of world war II. With an incredible amount of soldiers, tanks, artillery, and wagons, they threw themselfes into the Ardennes, wich was occupied by mostly green US army forces. Get in the footsteps of the soldiers who fought during the hard, bitter winter in december 1944 till the 25th of january 1945. Your host, Bob Konings, (Battletour guide since 2010!) is telling you the stories of one of the fiercest battles during world war II in the European theater: the Battle of the Bulge. 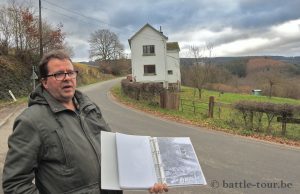 Bob follows the battletrails, locating foxholes, monuments, former artillery barages, HQ’s, etc. He knows the stories and he knows the places. You can book a customised tour! – Full daytour in the Grandmenil area! – Half day Bastogne Highlights tour! You also can book a special package at our guesthouse “Bo Temps“, situated in Grandmenil, known by it’s battle of the bulge history.